Girl Uses Lots of Exclamation Points: What Does That Mean? In order for you to get a woman fall head over heels on you, you must learn how to understand them. Women, by nature, are hard to understand because they don’t clearly say what they really mean. This article will help you understand the messages behind every woman’s punctuation marks on her text messages. The exclamation point is one of the most used punctuation marks in our society today, either in text messages or in emails. It can either mean excitement and eagerness, but sometimes it can also mean desperation and anger, depending on how it is used and the circumstances. For example, you send a girl a text message saying that something comes up and you can't make it on your movie date, she replies with an OK and lots of exclamation points. Guess what, you’re in trouble. Let's get closer to decode meanings of exclamation point in detail. Now, the space really makes a big difference just like you are giving some space to your girlfriend when she is mad. It conveys a message of eagerness and excitement without sounding needy. For example, instead of texting “I’m glad you came to the party!” simply text “I’m glad you came to the party !” Noticed the difference? This is usually used for a prospective boyfriend, a crush or an ex. When a name is followed by an exclamation point, it means that the sender is happy and excited that she received a message from the receiver. For example, John sent a message to a girl and got a reply like “John!” In this case, the sender or the girl is glad that John remembers her. When a girl uses lots of exclamation points, the emotions involved can be greatly intensified, so you have to be extra careful with your interpretations and reaction. When texting, you may always end the sentence without using any punctuation mark. This seems to be an open-ended conversation, which means the girl you are texting is still interested in having your communication going. But once she ends the message with a period, there is a sense of finality, which means it’s time to pack up. 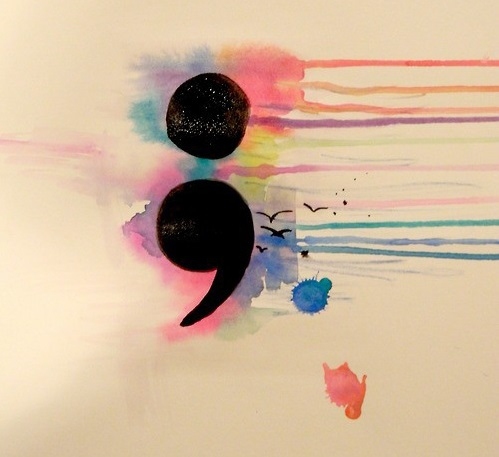 A semicolon used in a text message simply means that the girl is trying too hard, and this is not good to see. The semicolon is usually used by writers in composing literary pieces and not in day to day text messages. It conveys the message that she over edited the message, but this is much less nerve-wracking than the condition when a girl uses lots of exclamation points. This punctuation mark is seldom used in text messages because people especially the younger group prefer to make shortcuts with their words. When a girl takes the extra mile to text with the correct punctuation, it may mean that she loves to do things right even on relationships. Girls like to say things in a not-so-direct ways. 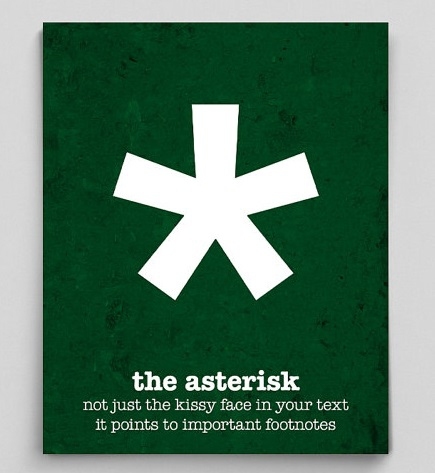 And the asterisk is commonly used to censor a word when a girl thinks that the receiver may get offended. For example, “He was the one who taught me that f***ng game”. Censoring words mean that she thinks that the receiver is not “sport” enough to entertain those kinds of words. Girls are emotional creature. The emoticons are used to put some life into the conversation since texting can sometimes seem so flat and faceless. But using lots of emoticons may also be dangerous just like when a girl uses lots of exclamation points at one time. Using the ellipsis may mean that the girl wants the receiver to read between the lines because she is saying something that she can’t say directly yet. The question mark is one of the commonly used punctuation. But depending on how many question marks are used in a sentence, the meaning also changes. Using a single question mark means a simple question, using two question marks may be a typographical error or to emphasize the question, but when three or more question marks are used in a sentence, there is a sense of anger, desperation and it requires an immediate answer, NOW. This is a very dangerous reply especially if it comes from your girlfriend. This is even more threatening than the situation where a girl uses lots of exclamation points. For older persons, it simply means okay, but for those born in the 1990s, it may mean they are really pissed and they don’t really care about you anymore.